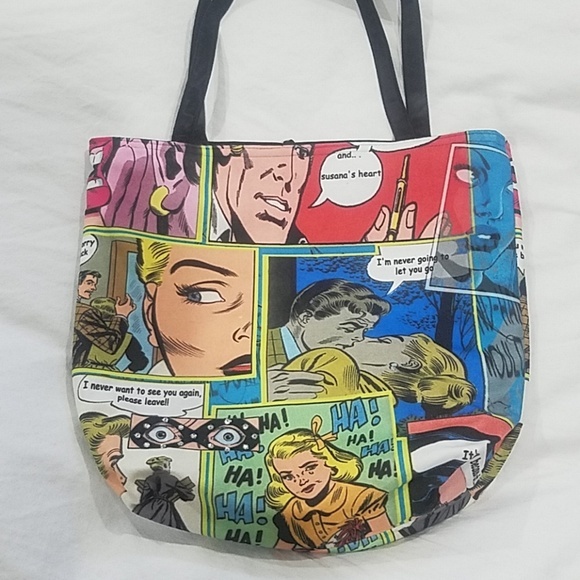 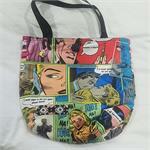 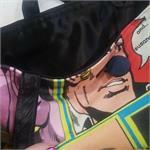 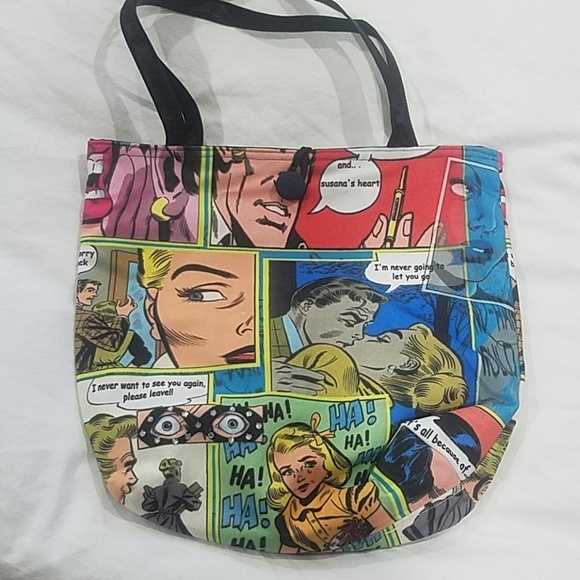 This delicious reversible cloth tote bag features comic book illustrations from the 50's. 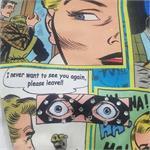 Lined in royal black satin and embellished with sequins. 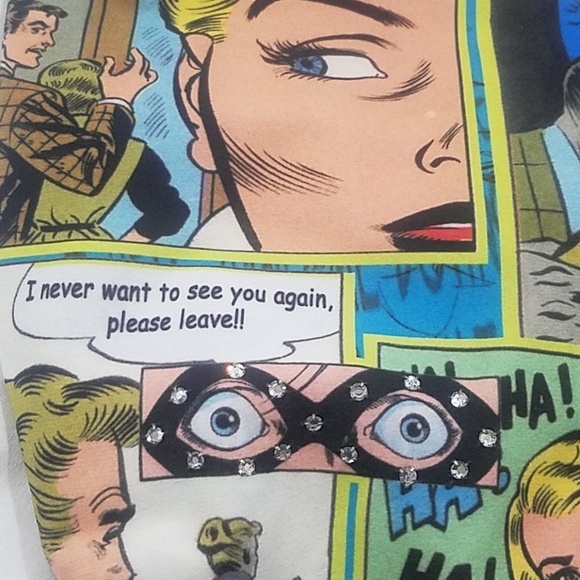 Even more awesome in person! 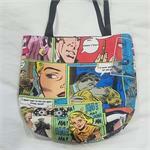 Makes a great grocery store tote!